It was an unforgettable Tuesday evening at the 2018 NSW Sports Awards held at the Grand Pavilion, Rosehill Gardens as Football took out three major awards including the ‘Administrator of the Year’ with Football NSW’s own Jo Fernandes honoured in front of a packed house. It has been a remarkable year for Fernandes who topped off 2018 with this well-deserved accolade. 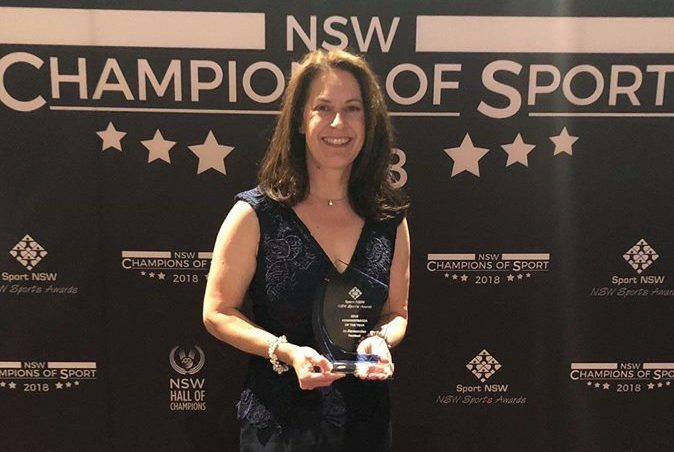 Respected by many of her peers in not only the Australian, but the world game, Football NSW’s Women’s and Girls Development Manager and female administrator was overwhelmed with the award. Fernandes was appointed as a General Coordinator for the 2018 FIFA World Cup in Russia – a first for any Australian female football administrator while she held several General Coordinator roles previously, with her first appointment in 2008 for the FIFA U-20 Women’s World Cup in Chile. Joining Fernandes on the winner’s circle was our highly successful NSW Cerebral Palsy Football team. They too capped off an amazing 2018 season after taking out the ‘Team of the Year with a Disability’ award after winning their fourteenth CP Championship titles recently. Hyundai A-League Premiers and Champions Sydney FC also flew the flag for football proudly as they were awarded with the ‘Team of the Year’ award while former Matildas star Julie Dolan, known as one of the major pioneers of Australian female football, was inducted into the NSW Sports Award’s Hall of Fame. Football NSW CEO Stuart Hodge praised each award winner for their services to the game. “I want to congratulate each and every one of our award winners as well as our nominees who represented the sport admirably at these prestigious NSW Sports Awards.